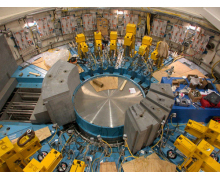 Rod Lock & Press Safety Applications | Advanced Machine & Engineering Co.
At Oak Ridge National Laboratory (ORNL) in Tennessee, a unique solution was needed to maintain position integrity on a series of massive shutters, used to control the flow of neutrons of the Spallation Neutron Source (SNS). Safety for the performers, of course, is never an illusion and one opera house in Genoa, Italy has taken positive steps to insure that reality. 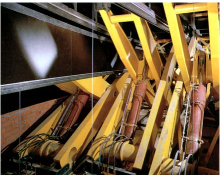 Stepless holding of stage lifts at Italian opera house made possible with SITEMA safety locks on cylinders. 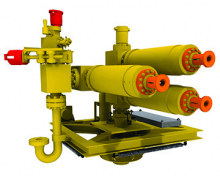 Argus Subsea uses hydraulic rod locks from AME to secure underwater oilfield trees at 5000-6000’ depths to 3000 psi and 50,000 pounds of axial holding. 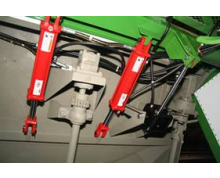 By utilizing AMLOK® Rod Locks from Advanced Machine & Engineering on hydraulic lift gate, this equipment builder improved the operability of their equipment. 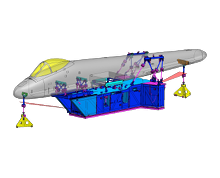 During the maintenance and repair operations of A-10 Warthog aircraft at Hill Air Force Base in Utah, a unique product design from Advanced Machine & Engineering (AME), helps maintain the structural integrity of this heavy airframe. 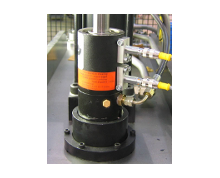 Safeguarding hydraulic and pneumatic presses from catastrophic failure.